It’s time for some Random Thoughts on parenting, kid logic and life in general. 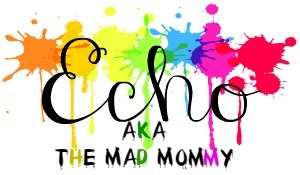 Today, I am going to give you my random thoughts on motherhood and everything in-between. It’s so much fun. You’ll see! Random Thoughts on #Parenting, #KidLogic, #MomProblems and #Life in general. “Boy, I know you want to go mining for rocks, but you just can’t do that in below freezing weather.“, I say through gritted teeth for the 37th time this week. My kids will not eat cheeseburger macaroni that I make, but if I add hamburger to Kraft mac n cheese, they eat it up. #HYPOCRITES. LOL! Love this! My kids are young adults now but the thoughts like this keep coming! I hear you on tired being the new trend. I even saw some fashion tees with the word TIRED in all caps on it the other day. Ha this was so funny! Agreed that chocolates on sale always seem to taste better. lol I need that legal substance. ? I love these posts you share. They always make me laugh! And I have to agree, chocolate tastes better when it is on sale. I could swear the kid-safe tranquilizer darts DO exist. Somehow we’re not allowed to use them. I like expensive chocolate and chocolate on sale the same, but no matter the quality, it tastes better the fresher it is! Yes. Haha, fantastic post! Yes, having kids certainly does create some rather random thoughts, doesn’t it! Omg who doesn’t love chocolates? I do love it especially when it’s on sale it’s time to hoard. Lol. This made me laugh! Just what I needed to help me realize I’m not alone in the mom struggle section. I think that shirt’s so cool! I would love to have some peace and quiet even for 10 minutes. That shirt!! I need that shirt!! It pretty much sums of my life right now! I agree with chocolate taste better when on sale, but I think it taste best when free! Like out of the kids halloween pal. I cannot wait until Valentine’s candy is discounted! It’s going to be the best tasting chocolate ever! I love these random thoughts. As a mom I am also full of them. Good to see I’m not the only one with random thoughts. Love your theme lol I have the same one. So cute. I don’t have kids but my nieces sure give me a handful of random thoughts. LMAO! This post is awesome! I love your domain name and OMG! It just made me laugh reading about it. Motherhood is a wonderful, but wonderful crazy thing! =) Definitely subscribing! Your blog design totally screams the domain name! I LOVE IT!!! Very colorful! Seriously, TIRED IS THE NEW THING! I have no idea how other mommies do it especially having the time to work out, attend their day/night job, and balance family life. Props!